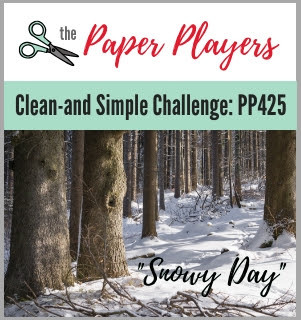 This week at The Paper Players they have a Clean and Simple challenge with a theme of "snowy day". I am a winter girl through and through, the more snow I have and the colder it is the happier I am so I definitely had to play along! I knew right away that I wanted to use a digital stamp from Mo's Digital Pencil called Winter is Coming. This image cracks me up because its someone shoveling with just their hat and the shovel peeking up over the snow. I've had many a winter like that here in Alaska (although this winter we've barely had snow, boo!!) and shoveling snow is one of my very favorite things to do, I find it very peaceful and relaxing. I used my cool gray copics to color along the snow line and added a pop of color to match the sentiment, with a bit of yellow added for the shovel. 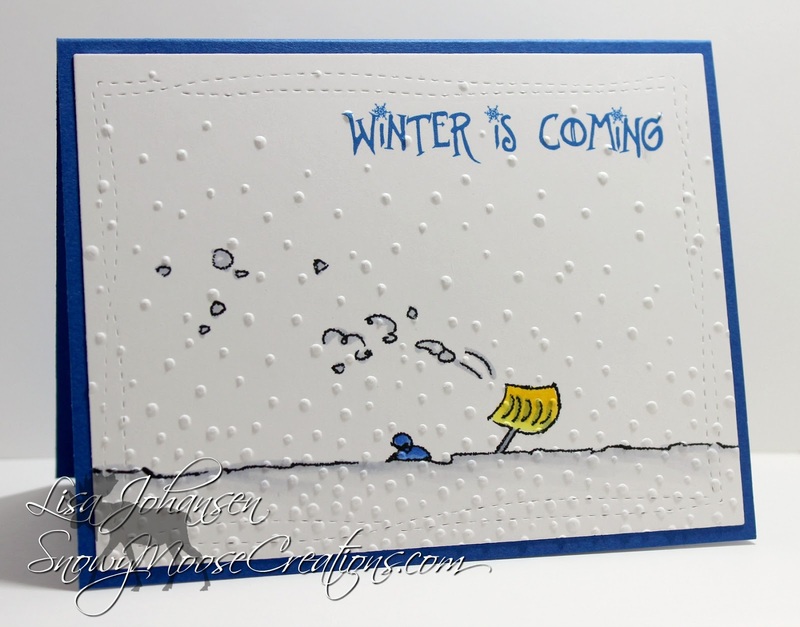 To finish it off I used a SU embossing folder to add some falling snow. LOL! This is adorable. I LOVE it. Thanks for joining us at The Paper Players this week! This is TOOOO funny! I would say that winter had already arrived for this wee little guy! Adorable! Thanks for playing with the Players this week! Love this Lisa - so funny! I have visions of you disappearing below the snowline as you dig too. Thanks for sharing with us over at the Paper Players this week! Love the awesome nod to GOT...too funny! Great card! This is such an amazingly creative and funny card, I love it! Nice to meet you and I look forward to your future posts!